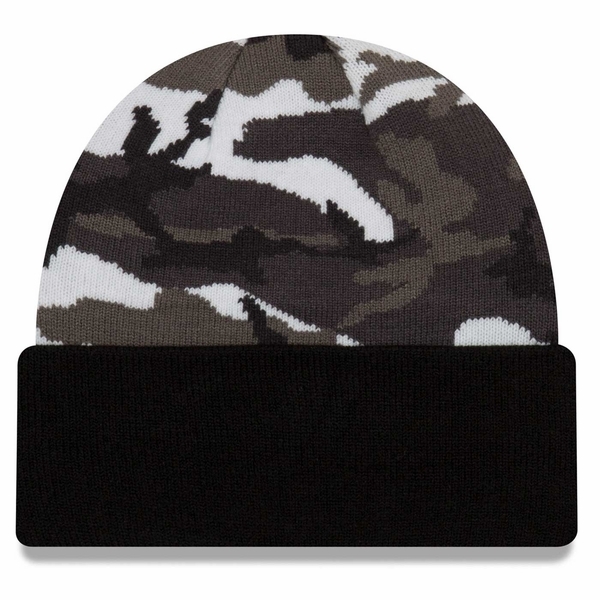 Warm up in Raider style this season with the Raiders New Era Urban Camo Cuffed Knit Hat! This beanie features a team colored camo print, with a black Raiders� shield logo embroidered onto the cuff. 90% acrylic, 10% spandex.